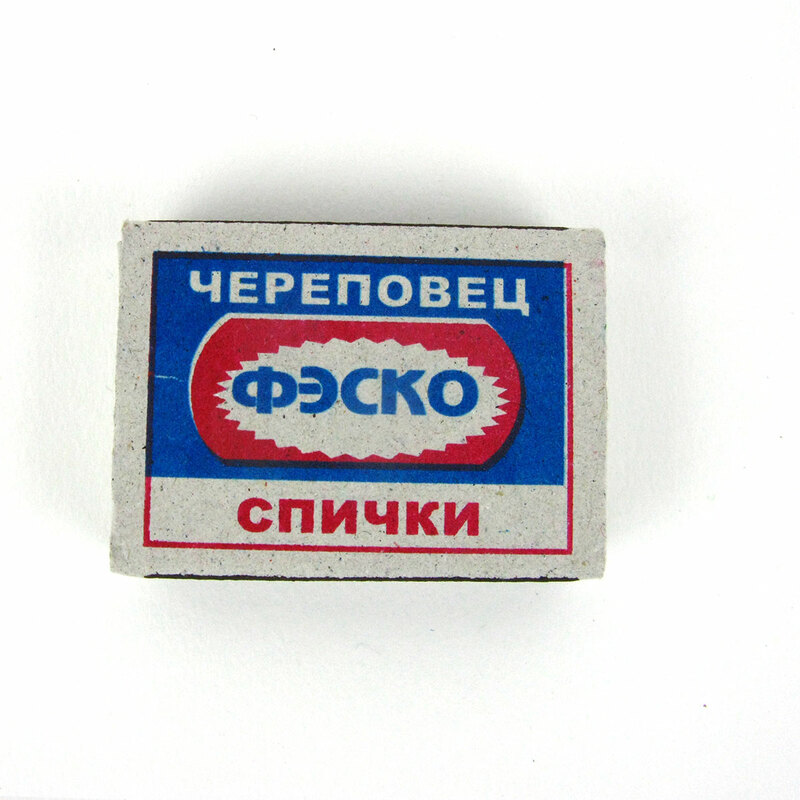 A box of new Russian matches in a lovely cardboard box with cyrillic writing on it. 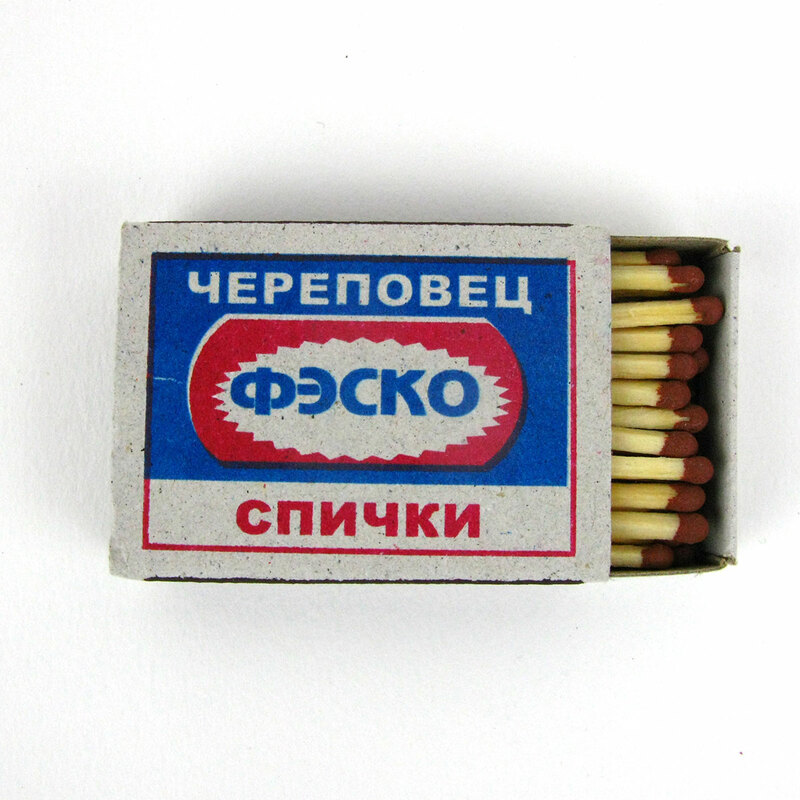 These matches are brand new from Russia and are in a cardboard box with nice graphics and cyrillic writing on them. We can’t guarantee their safety so they are sold for their graphics i.e. 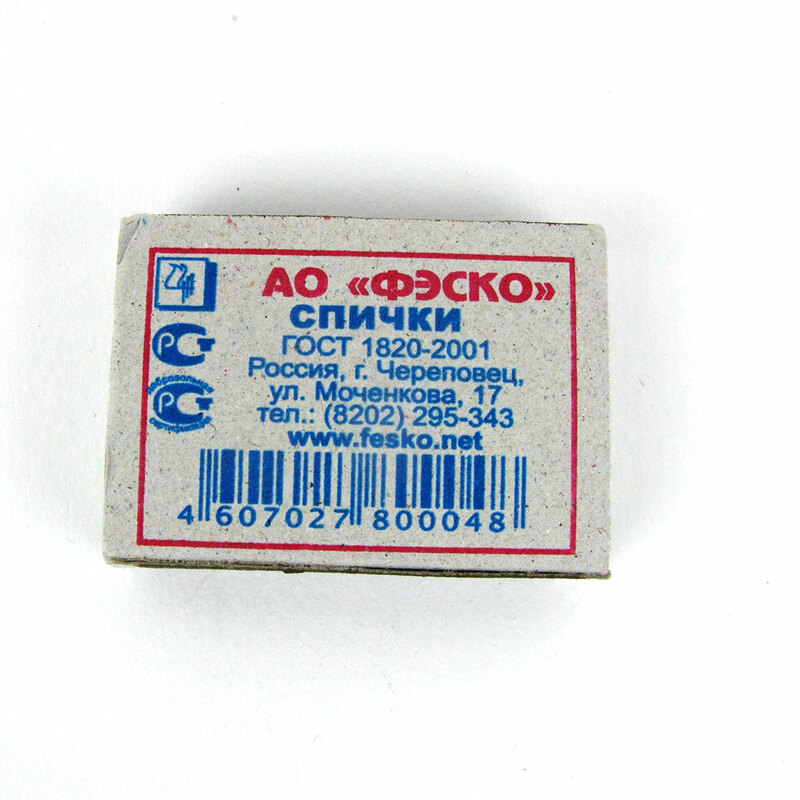 use them at your own risk! Here are some nice photos from the match production line..